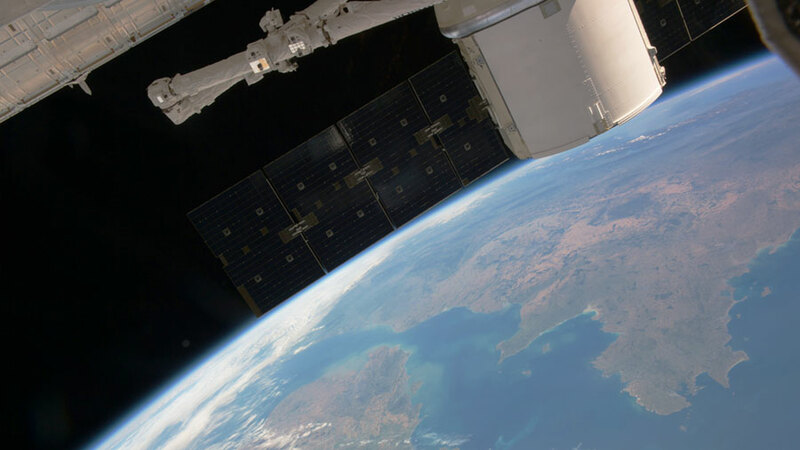 The SpaceX Dragon is pictured as the International Space Station orbited over the English Channel. The SpaceX Dragon cargo craft has been packed with science experiments and gear for return to Earth and analysis by NASA engineers. Robotics controllers on the ground will maneuver the Canadarm2 to detach Dragon from the Harmony module Thursday afternoon. Astronauts Takuya Onishi and Kate Rubins will command Canadarm2 to release Dragon at 6:10 a.m. EDT Friday. It will splashdown off the Pacific coast of Baja California a few hours later, then be retrieved and shipped back to Los Angeles by SpaceX personnel. Less than two weeks later, a trio of Expedition 48 crew members will return to Earth inside the Soyuz TMA-20M spacecraft. Commander Jeff Williams and Flight Engineers Oleg Skripochka and Alexey Ovchinin are due to end their stay at the International Space Station on Sept. 6 and land in Kazakhstan. Meanwhile, the space station crew is still participating in a wide variety of ongoing space research to benefit people living on Earth and in space. The crew conducted human research activities today exploring how long-term space missions affect an astronaut’s metabolism, digestion and blood pressure. NPR said the Splas Down will be in the ATLANTIC Ocean!! The Crew Dragon will splashdown in the Atlantic Ocean. The Cargo Dragon splashes down in the Pacific.